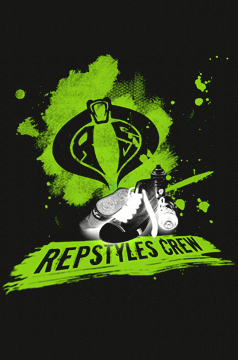 Repstyles Crew is a multi-cultural group of dancers from Philadelphia that perform and compete nationally as well as internationally. We are bboys who maintain a reputation as one of the top crews in the USA. Our members are also great all around dancers, well versed in other styles of dance..
No Strangers to the spotlight, members of Repstyles have been featured in various events, marketing campaigns, and shows in the Philadelphia area over the years as well as appearing on Television as part of "Phresh Select" on MTV's America's Best Dance Crew and individually on shows like So You Think You Can Dance. They have represented the USA in international battles abroad and most recently BBoy Knuckles won the East Coast Qualifer for RedBull BC One. Knuckles will be representing the east coast in August in Texas at the finals.